Augustinergasse 2. Admission is free. us the loss of a person to whom we felt closely connected by friendly ties. Adieu Marcel, thank you for your inspiring friendship. 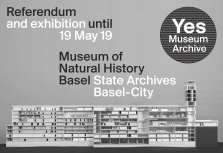 and April 19, 2019, from 11 am to 6 pm. 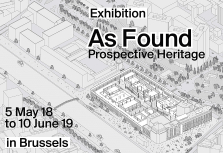 of the region Brussels-Capital City. in generously dimensioned vestibules, where historical rooms encounter new counterparts interpreted in a modern idiom. 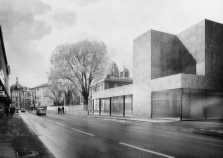 completion date for the apartment house on Briesestrasse and Kienitzer Strasse with 101 flats in total is December 2019. 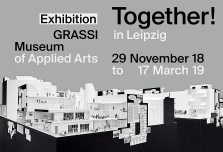 7 pm in the GRASSI Museum of Applied Arts in Leipzig and runs to 17 March 2019.
place on 23 November at 7 pm. 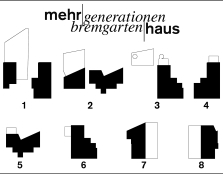 152, 10623 Berlin. 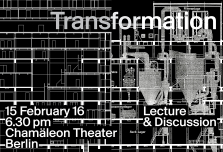 The lecture will be transmitted via livestream. 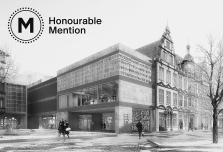 In this year’s Prix Lignum the Heuried Sports Center in Zurich was granted a recognition by the Region Nord jury for its innovative, high-quality and pioneering use of wood. 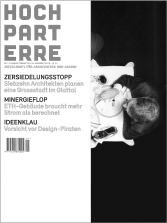 Architekturforum Oberösterreich, Herbert-Bayer-Platz 1, 4020 Linz. Registration is required. 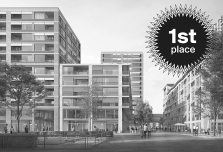 as the ‘Lokstadt’ EM2N won the study commission for Baufeld 1 (Plot 1) where they will implement a conglomerate consisting of four individual buildings. 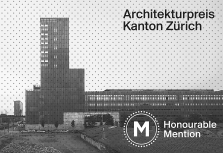 21 to 24 August 2018 in the Lokhaus (Architekturforum), Jägerstrasse 43 in 8400 Winterthur from 4 pm to 7 pm. 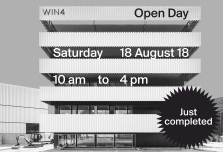 August from 10 am to 4 pm. 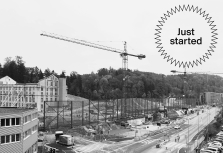 On the right shore of Lake Zürich, in the district of Tiefenbrunnen, a new harbour with an aquatic sports centre is to be made. pm to 8 pm and Saturday and Sunday 2 pm to 6 pm. 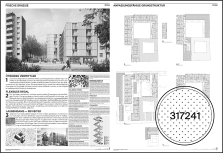 Planning, Arcisstrasse 21, 80333 Munich. 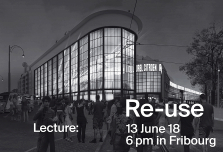 (IRGE) at Stuttgart University will be given on 12 July, 2018 at 11.30 am in the lecture hall provisorium, Breitscheidstrasse 2a, 70174 Stuttgart. 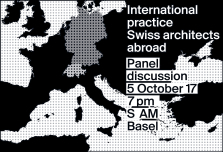 pm to 7.30 pm in the Gremaud auditorium of the HEIA in Fribourg, Switzerland. 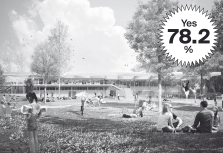 island’ into a campus that addresses the future. 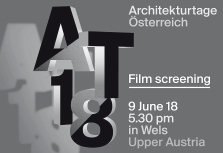 the Architects Group Krokodil and Chris Niemeyer, Plan B Film will be shown. 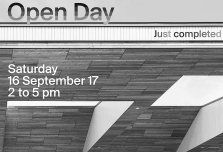 Public Record Office will open from 10 am to 12 midday. The registration for the offered tours is required. matches in the new ice sports hall of Heuried Sports Centre. Tuesday to Sunday, between 10 am and 6 pm. 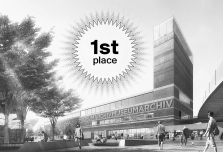 Together with noAarchitecten and Sergison Bates architects EM2N emerged as winners of the competition for the cultural hub KANAL – Centre Pompidou in Brussels. 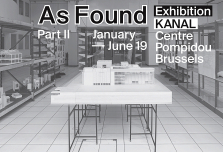 the memory of the city, the aim is, above all, that the KANAL – Centre Pompidou should lead the way to the city’s future. 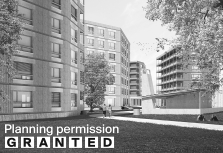 as communal areas is expected to be completed in December 2019. 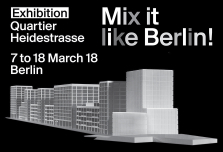 7 to 18 March 2018, daily from 1 pm to 6 pm in the Kornversuchsspeicher at Heidestrasse 20c in Berlin. 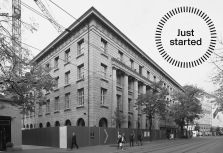 the first floor of the main building of the University of St. Gallen, Dufourstrasse 50 from 22 February to 9 March 2018.
completion is scheduled for late autumn 2018.
spaces, including a co-working space, a restaurant and a ‘green living room’ as a lobby and lounge. 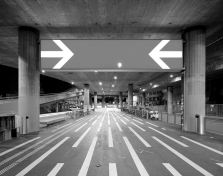 180 in Zürich will be opened on Wednesday, 14 February 2018 from 6 pm and will run until 25 February. König on Burgstrasse 27 in Berlin. in 65 Cambridge Terrace, Christchurch. 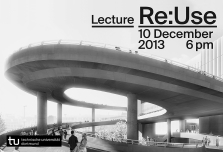 theme of ‘re-use’. 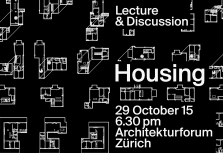 Both these events will begin at 7 pm in the Architekturforum Zürich, Brauerstrasse 16, 8004 Zürich. 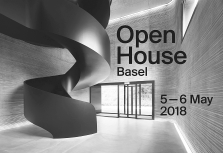 will run until 9 February 2018 in the Architekturforum Zürich, Brauerstrasse 16, 8004 Zurich. B 007, Bahnhofstrasse 90 in Nuremberg. 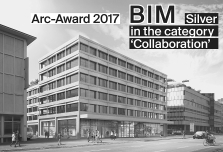 mention of the success with which those involved in the project worked together and of the way they developed and applied BIM methods. community, and the needs of ‘residents’. On 3 November, 2017 at 8.35 am in the Victoria-Jungfrau Grand Hotel Spa in Interlaken. Registration required. 6 pm in Pavillon Sicli, Route des Acacias 45 in Geneva. 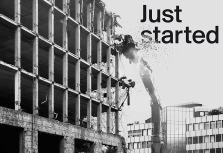 Many cities find themselves regularly confronted with the question whether existing buildings should be replaced by new ones or ought instead to be preserved. them from different perspectives. 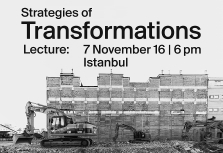 As an international guest Daniel Niggli will launch the debate and will talk about his experiences with the theme ‘transformation’. the 13th floor of the Philips Tower in Brussels. 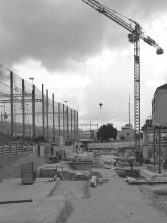 in the up-and-coming district of Zürich-West. 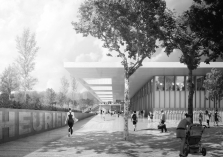 Scheduled to begin in 2018, the construction work will continue until the end of 2020. 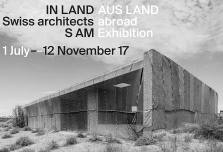 On the occasion of the exhibition ‘IN LAND AUS LAND’ Mathias Müller speaks about what it means to set up an architecture office abroad. practice’. 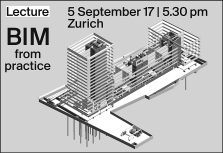 The event takes place at 5.30 pm on Tuesday, 5 September 2017 in the Pädagogische Hochschule Zürich, Lagerstrasse 3.
for a broad public at this architecturally interesting location. 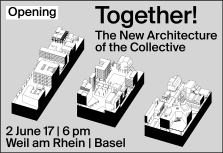 to 6 pm on Wengistrasse 7 in Zurich. November 2017. 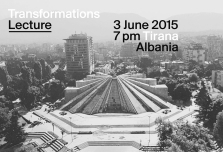 The opening is on 30 June from 7 pm. in the Parkʼ to be experienced. 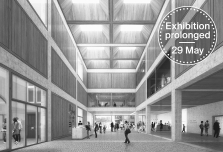 Scheduled completion date for the project is 2020.
in the Vitra Design Museum. 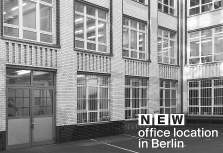 The Berlin office of EM2N Architekten has moved. 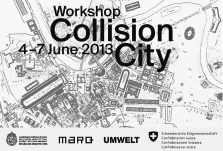 As of now it is located at Urbanstrasse 71 in Berlin-Kreuzberg. in the Aula Magna, Palazzo Canavée in Mendrisio. Free entry. 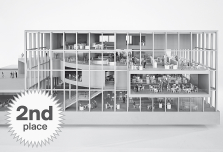 into a modern, innovative setting for work. city and how city and region relate to each other. 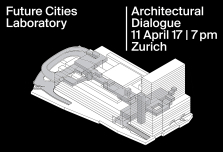 On 11 April 2017 at 7 pm, Metropol, Fraumünsterstrasse 12, Zurich. Registration required. area. 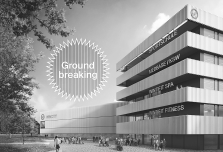 The first phase consists of a new building for a ball sports arena with the adjoining 'Sporttrakt 1', which includes the administration building. 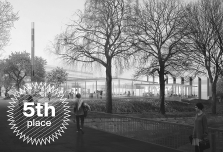 'Sporttrakt 2' will follow in the second development phase. 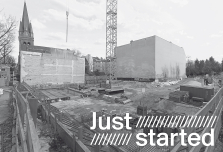 start of construction is in 2018. 2017 at 7 pm. Admission is free, registration is not required. 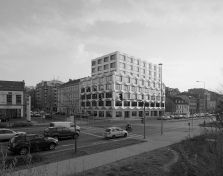 Stadthaus, Stadthausquai 17, Zurich. 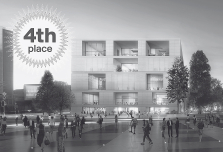 the competition projects will be held from 16 to 27 January, 2017 in the Magistrale of the Stadthaus Deutz, Willy-Brandt-Platz 2 in Cologne. 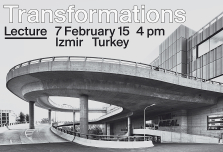 Istanbul, an urban laboratory that aims to identify the current and future issues facing the city. 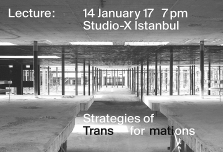 On Saturday, 14 January 2017 at 7 pm. Letzibach C, Hohlstrasse 510 in Zurich. 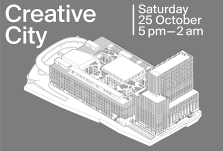 Opening times: from 5 to 8 pm, on Saturdays from 2 to 6 pm. the different parts of Switzerland is presented. 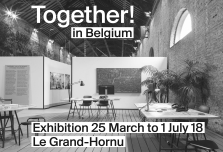 This exhibition can be visited from 19 November 2016 to 7 May 2017. 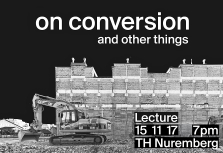 Niggli will speak on 15 November 2016 about transformations in Zurich. 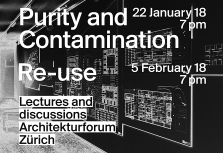 Admission is free, 7 pm in the Audimax, Karlstrasse 11, Biberach. Istanbul Bilgi University, Santralistanbul Campus, Kazan Dairesi 6, Kazandibi room. 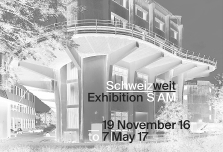 in Zug from 28 October to 11 November 2016.
from 11 am to 9 pm. 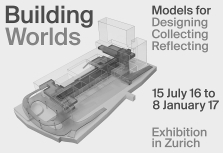 shown from 16 September 2016 to 11 February 2017 in the Stadthaus, Stadthausquai 17 in Zurich. children are located at the entrance to the construction site. Access is from the ‘Wasserschöpfi’. 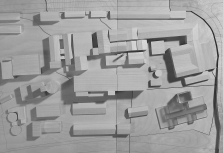 the Toni-Areal include models of the Toni-Areal itself, which give visual form to the converted building. 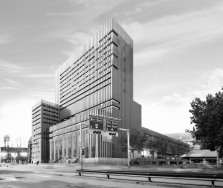 some 133 apartments set to begin construction in 2018.
for this prize are on show in the ART DOCK Halle, Hohlstrasse 258, in Zurich. 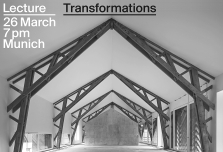 kind of building transformations that have an impact on entire urban districts. 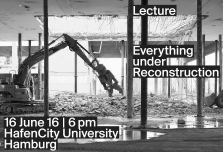 On Thursday, 16 June at 6 pm, Auditorium 200, HafenCity University, Hamburg. 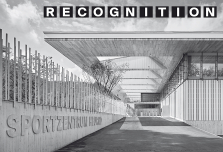 The exhibition of the competition entries can still be visited until 29 May 2016 in the Gutenberg Museum Mainz. Opening hours: Tuesday to Saturday 9 am to 5 pm and Sunday 11 am to 5 pm. 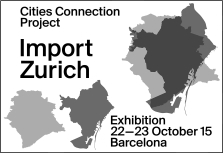 selected projects from both cities will be shown in Zurich as well. 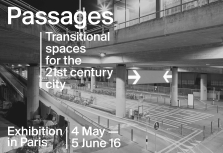 From 12 to 21 May 2016 at the Architekturforum, Brauerstrasse 16.
from 2 to 8 pm. entire complex and connects the new and the existing parts. 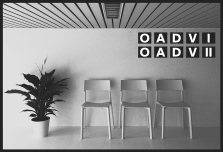 of Architecture and Design. 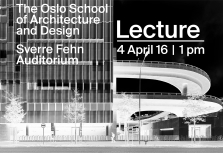 On Monday, 4 April 2016 at 1 pm in the Sverre Fehn Auditorium. 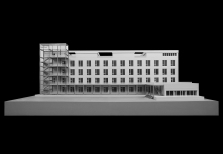 and helps calm the urban planning situation on Liebfrauenplatz, while at the same time meeting the demands of a modern museum. 13 March: Monday to Thursday, 9 am to 5 pm; Sunday 11 am to 5 pm. Berlin. 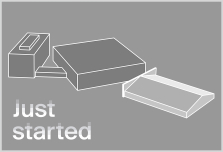 Registration is required and should be made online by 11 February at the latest. 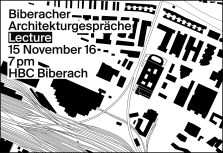 Saturday, 1 pm to 7 pm in the hall of the Kinder- und Jugendzentrum Lessinghöhe, Mittelweg 30, Berlin. Admission is free. 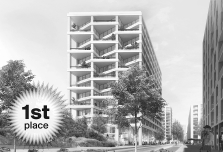 the urban area at a high level of quality. 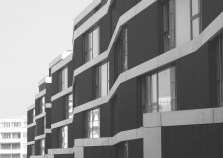 The housing project is to be completed in 2018.
except Tuesdays, from 10 am to 5 pm. 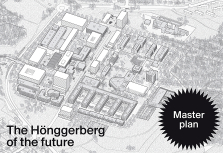 adapted to meet future requirements in terms of both building services and urban design. 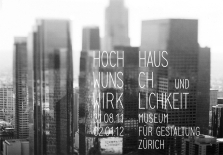 Zurich from 2003 to 2012. 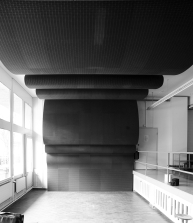 Together with her team she will commence work from November at Falckensteinstrasse 48 in Berlin-Kreuzberg. 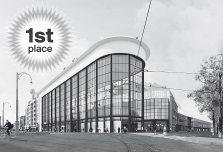 entries can be seen in HO | Berlin, Holzmarktstrasse 66, from 6 to 25 November, 2015 between 1 pm and 7 pm. 10.30 am. 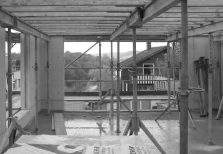 What is happening on the building site can be observed all around the clock – follow the link below. 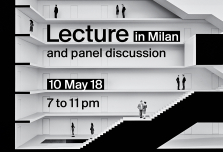 seen in the show at the Palazzo Platamone, Via Vittorio Emanuele 121.
at 6.30 pm in the Architekturforum Zürich, Brauerstrasse 16. Registration (on the website) is required. the ideal city of the future. 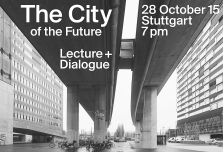 On Wednesday, 28 October 2015 in the Kunstmuseum Stuttgart at 7 pm. 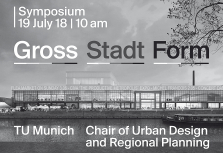 Registration at architektur@grohe.com. 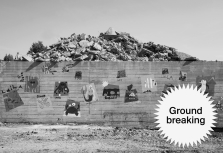 Construction of the building structure has started on plot A1 of the project Greencity. 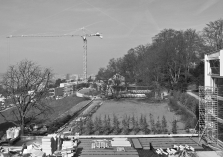 The housing project on the Sihl-Manegg site in Zürich, Switzerland is to be completed in spring 2017. 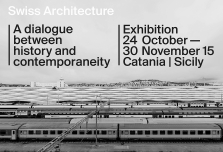 22 to 23 October 2015 in COAC (Col·legi d’Arquitectes de Catalunya). 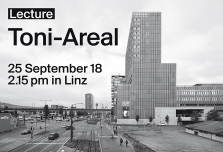 The Toni-Areal by EM2N is featured in the accompanying exhibition. the i2a istituto internazionale di architettura at Villa Saroli in Lugano. 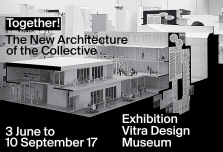 Exhibition opening is on Friday 4 September at 6 pm. 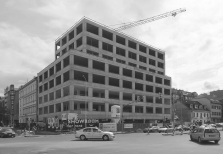 of new building in 2018.
the corner of Langstrasse and Zollstrasse (daily, 10 am to 8 pm). decades. 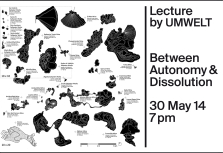 It will serve as the framework for this lecture. 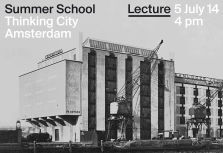 Wednesday 3 June 2015, 7 pm. buildings. This was also the point from which the present conversion started. 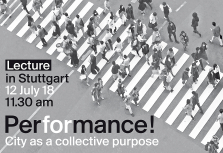 Roma-Forum, Industriestrasse 38, Burgau, from 10 am, on-line registration required. 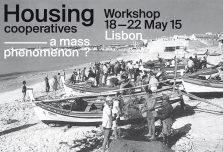 Housing cooperatives – a mass phenomenon? University of Lisbon. 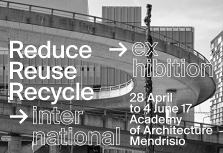 From Monday 18 until Friday 22 May 2015. 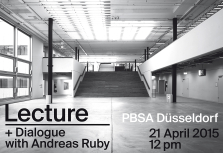 Daniel Niggli talks about the Toni-Areal on Tuesday 21 April 2015 at 12 pm, together with Andreas Ruby. Peter Behrens School of Architecture, Japanhaus, Georg-Glock-Strasse 15, Düsseldorf. 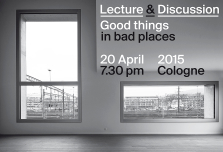 7.30 to 9.30 pm, Domforum, Domkloster 3, Cologne. the swimming complex is to be completed in spring 2018. 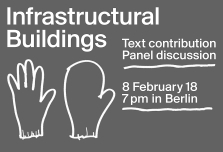 March at 7 pm in the University Aula, Karlstrasse 6, Munich. 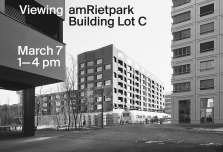 to 4 pm, amRietpark, Schlieren. 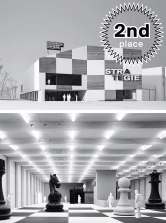 to 27 February and from 2 to 5 March the competition entries can be viewed in the rooms of Artoz Papier in Lenzburg. 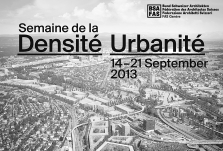 positive impetus for the adjoining urban areas. 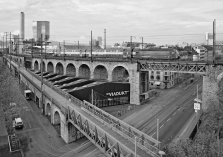 as a contribution to the discussion about the metamorphosis of viaducts in European cities. 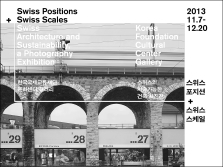 exhibition phases, from 17 December 2014 to 2 March 2015. 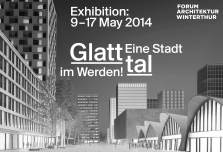 The exhibition ‘Glatt! 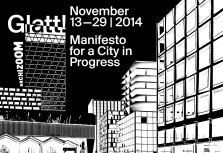 Manifesto for a City in Progress’ by the Architects’ Group Krokodil will be shown from 13 to 29 November 2014 in the Archizoom Space, EPFL in Lausanne. from 10 am in the Stiftung Bibliothek Werner Oechslin, Einsiedeln. and design. 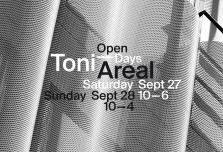 An opportunity not just to see the Toni-Areal, but also to experience it. 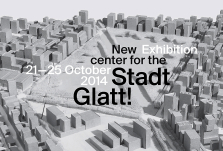 New center for the Stadt Glatt! 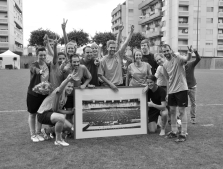 Schaefer from the team Hosoya Schaefer, takes place on Monday, 20 October at 7 pm. 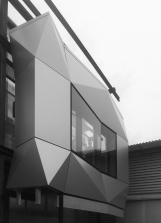 Architekturforum Zürich, Brauerstrasse 16, Zürich. 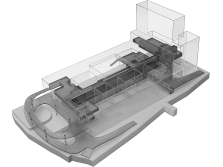 sports hall with its large projecting roof can be erected from spring of next year. 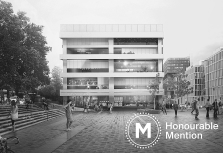 The planned completion date is autumn 2017.
will be officially opened by the education and building departments of Canton Zurich, by the two universities, ZHdK and ZHAW, and Allreal. 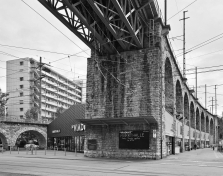 18, Robert-Maillart-Strasse 18, 8050 Zürich-Oerlikon. 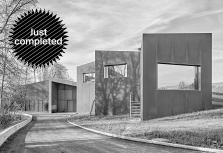 total of 62 works and gave the project ‘Extension Herdern Railway Service Facility’ the label ‘best architects 15 in gold’. 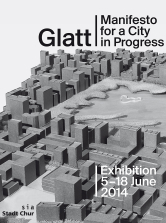 What can Chur learn from the Glatttal City? 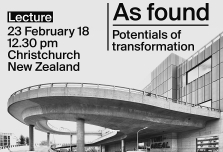 12 midday and 1.30 to 5 pm, panel discussion at 7.30 pm. 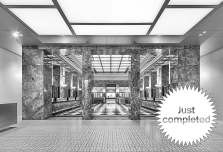 prize is awarded to firms, institutions, architects and clients that employ architecture as a marketing instrument in a meaningful and high quality way. Arturo Scheidegger. 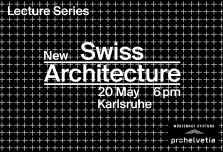 Friday, 30 May 2014, 7 pm, Architekturforum Zürich, Brauerstrasse 16, Zurich. 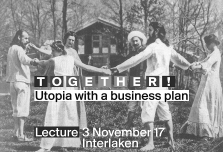 Organised by EM2N. 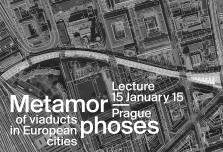 6 pm with a lecture given in the Egon Eiermann Lecture Theatre. the project at the exhibition opening. 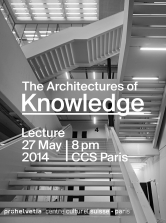 Thursday, 8 May 2014, 7 pm. Location: Veranstaltungssaal, Amt für Städtebau Technikumstrasse 81, Winterthur. 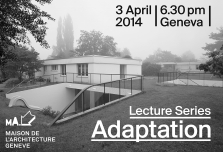 April 2014, 6.30 pm, in the Palais de l’Athénée, Rue de l’Athénée 2, Geneva. will be made by Dr. Peter Krieger, who will also chair the evening. 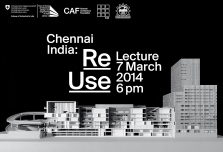 College of Engineering, Guindy on Friday, March 7, 2014. 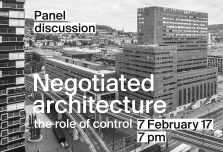 TAG Auditorium, 6 pm, moderated by Dr. A. Srivathsan, senior deputy editor ‘The Hindu’. 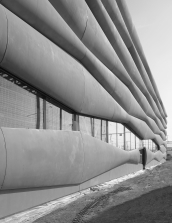 the river are to be completed by 2016.
and the generous areas of glazing on all sides that break up the building into bands and do justice to the spectacular setting. 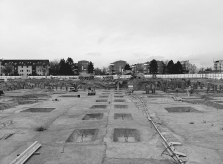 The shell of the building on Site C of amRietpark in Schlieren has been completed. 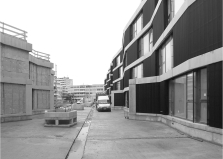 The projected completion date for this mixed use development with an area of around 39,150 m2 is spring 2015. 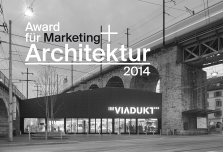 The conversion of the viaduct arches in Zurich has received the ARC AWARD 2013 in the category ‘Conversion: Office, Commercial, Retail and Industrial Buildings’. 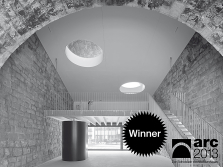 This Swiss architecture prize is awarded annually by the ‘Schweizer Baudokumentation’ and the specialist magazine ‘VISO’. 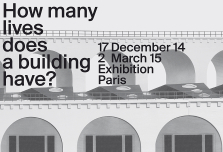 different scales that illustrate the quality of Swiss architecture. estate buildings, others newly erected, house a total of 38 residential and commercial units. They can be visited between 2 pm and 5 pm. 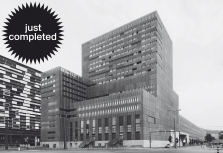 the building is planned for the end of this year. 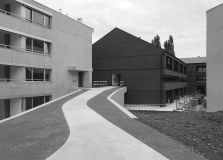 For three days, from 25 to 27 September 2013, the newly completed Sedorama Headquarters in Schönbühl near Bern will be open to the public. 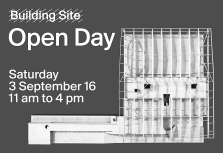 In addition to the chance to see the building, visitors can avail of a guided tour of the new headquarters given by EM2N Architects. of EM2N. Concerts and aperitifs round off the program for the opening days. Admission is free of charge. 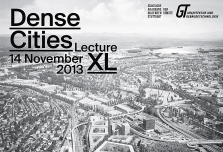 how to build in an urban way on the periphery, which will take place at 6 pm on Wednesday, September 18. 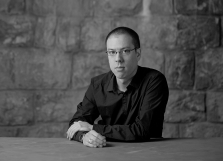 Björn Rimner has worked for EM2N since autumn 2006. As junior associate he shares responsibility for the Toni Site project. Now, as an associate, he additionally joins the management of EM2N. 14’ in gold. 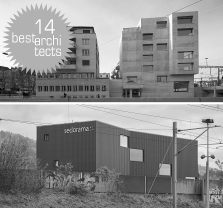 The completed Sedorama AG Headquarters was also granted a ‘best architects 14’ award. floor level. Planned completion date for the construction work is mid-2017. 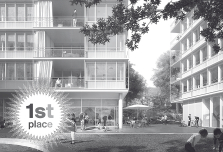 single-storey apartments with terrace or balcony and garden are still for sale. 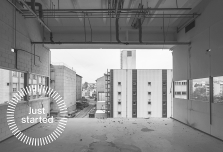 and Soul’) is under the title ‘Generator’ and deals with innovative contemporary forms of expression in art and architecture. 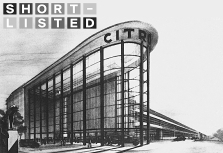 and an office building distinguished by its striking circular form. 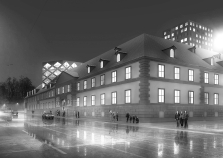 cultural buildings that function as new promoters of urban development. 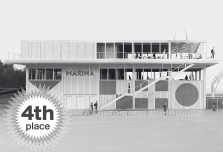 The exhibition includes the model of EM2N’s design for the Toni site. 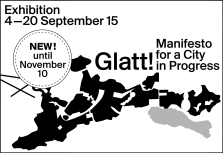 Book launch: Glatt! 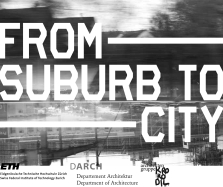 From Suburb to City? as a whole EM2N has reached the next round of the selection process. 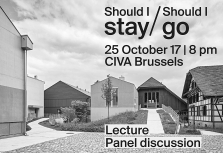 Tuesday, 23 April 2013 in the Flemish Parliament, ‘De Schelp’ Hall, Hertogsstraat 6 in Brussels. 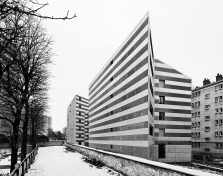 is part of the ‘Aménagement de la Porte Pouchet’ in the 17th Arrondissement in Paris. 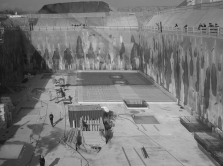 archive itself which is located below ground. 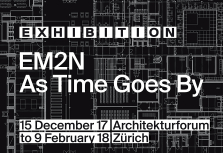 The second phase of construction starts in June 2013.
to 28 March 2013 in the exhibition space on the lower ground floor of Oerlikon Hallenbad at Wallisellenstrasse 100 in Zurich. 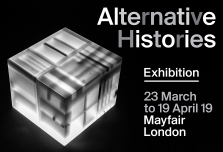 in the exhibition from 7 March to 14 April 2013 in the Jaroslav Fragner Gallery. der Künste, Hanseatenweg 10 in Berlin. 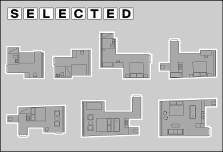 areas. 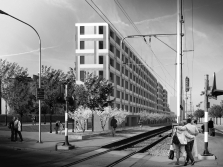 Additionally a mix of housing, commercial and office spaces will shape the character of this newly built district. 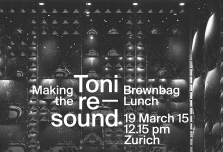 from 2 to 5 pm on Neufrankengasse / Langstrasse 151 in Zurich. site from the 1870s on the periphery of Kiev’s old town. sale. 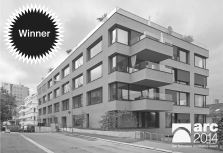 This second apartment house is being developed and built by DN2M Projektentwicklung AG at a central location in Bremgarten, Switzerland. 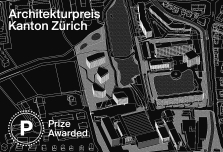 University of the Arts (ZHdK) and the Zurich University of Applied Sciences (ZHAW). 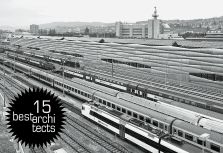 with the label ‘best architects 13’. 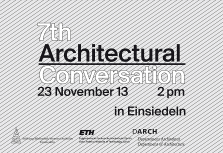 Christoph Gantenbein, Roger Diener, Angelus Eisinger, Jan Edler, Martin Heller, Freek Persyn, Marcel Meili and Andreas Ruby. 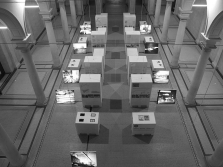 complete overviews of the exhibits and their presentation in space. 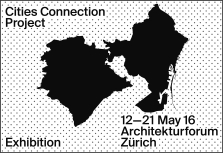 project can be viewed in the Tramonthalle exhibition space in Zurich from 25 May to 3 June 2012. 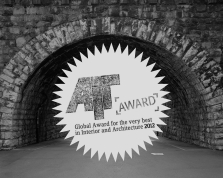 ‘Conversion’ by the ‘AIT Award – Global Award for the very best in Interior and Architecture 2012’. 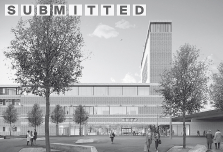 about 750 square metres of retail space and parking places on three basement levels. 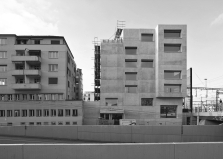 A start was made for the second phase of the Riedpark housing development in Zug, Switzerland. 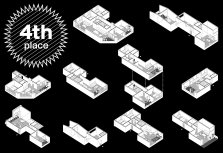 are connected to the communal space and the large roof garden adjoining it by means of what is called a ‘street in the air’. 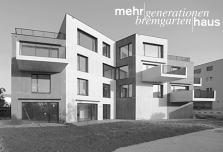 This new housing project comprises eight, light-flooded, single-storey apartments with balconies and terraces, as well as maisonettes with internal light-wells and their own gardens. connections and expansive views across the River Reuss. 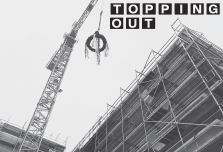 Scheduled completion date is summer 2014. 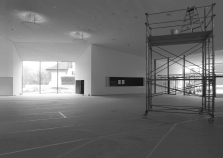 2012 the project ‘Hyllis’ is being shown in the Bündner Kunstmuseum in Chur. 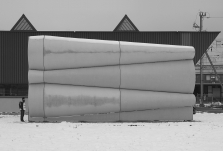 relief made of fibre cement. 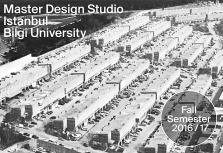 Commencement of operations at the facility is planned for the end of 2013. 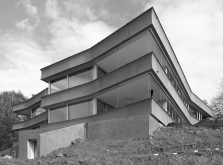 Vortragssaal of the ZHdK, Ausstellungsstrasse 60 in Zurich. and diverse than what we are used to today. 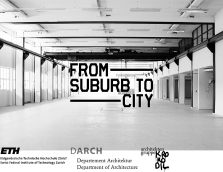 runs from 25 May to 16 September 2012 in DAM, Deutsches Architekturmuseum in Frankfurt am Main. 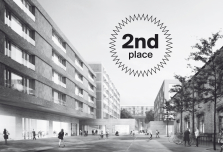 ‘Guido, Alex & Vic’ was awarded first prize ex aequo for building site A and a third prize for building site B3S. 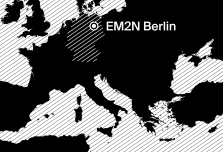 On January 10, 2012, at 10.01 am, the new EM2N website has been released! individual note. 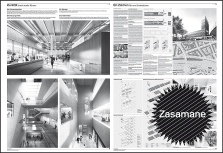 A series of visualizations of this new district is included in the online article of the Neue Luzerner Zeitung. The facade of the Keystone Office Building in Prague is finally mounted. 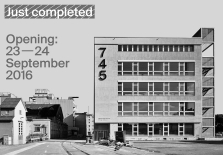 Completion is scheduled for spring 2012.
the website of the Cinémathèque (Swiss Film Archive) all around the clock. 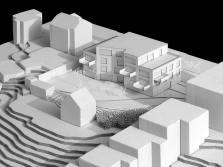 Architects Group Krokodil for a new city near Zurich provides the conceptual basis. The application period starts on January 20, 2012. 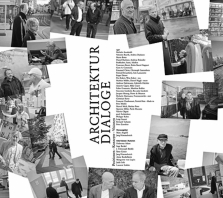 In ‘Architecture Dialogues’, nine interviewers talk with 30 leading Swiss architects about guiding themes, directions and perspectives in their theoretical explorations and building projects. Niggli Verlag, 628 pages, CHF 78.-, ISBN 978-3-7212-0801-6 (German edition), ISBN 978-3-7212-0801-3 (English edition). 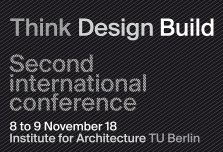 TU Munich, Germany. What is the city in which we live today and wish to live in the future, and what could it be? 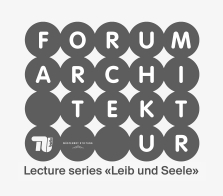 Mathias Müller gives a lecture during Sofia Architecture Week 2011 on November 5, 2011, 6.30 – 7.30 pm at Perform Business Center Sofia, Bulgaria. 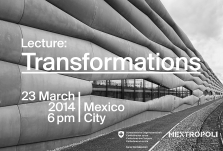 transformative power of architecture and analyses its abilities to extend boundaries. 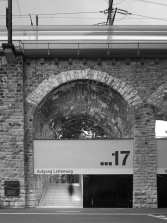 Hardbrücke Railway Station, this year EM2N receives a second commendation for its Viaduct Arches project. National Technical Library. 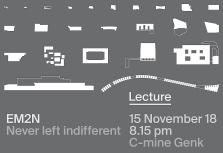 The lectures given include one by Gerry Schwyter, associate of EM2N, on October 19 at 8 pm. 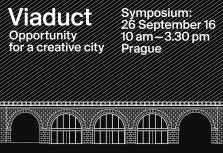 Gestaltung Zürich from September 30 to October 9, 2011.
the City’ at 7.30 pm, September 23, 2011, in the Mehrzweckhalle Schwerzenbach, Switzerland. pm on September 24, 2011. 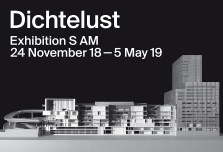 A model of the Toni Site at a scale of 1:100 is on display in the exhibition ‘Hochhaus – Wunsch und Wirklichkeit’ from August 31, 2011 to January 2, 2012 in the Museum für Gestaltung in Zurich. 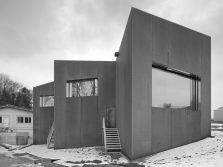 has a special geometry and, in some cases, extra-high rooms. 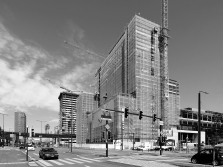 Scheduled completion: end of 2012.
district of Prague, Czech Republic, currently undergoing rapid change, at the corner of Pobrežni Street and Saldova Street. 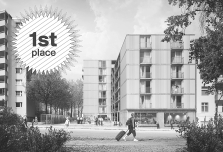 of space for living and working will remain the trademark of the Hammergut. 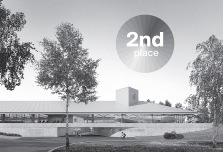 EM2N wins 4th place in the competition for the new Musée Cantonale de Beaux-Arts (MCBA) in Lausanne, Switzerland. 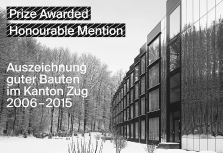 Honorable mention for the project ‘Albert’ by EM2N in the competition for the new building at the Campus in Muttenz, University of Applied Sciences and Arts Northwestern Switzerland, FHNW. 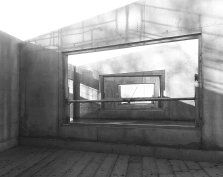 EM2N present their work at an exhibition of the CANactions International Youth Architecture Festival in Kiev, Ukraine, from 28 April to 30 May 2011. 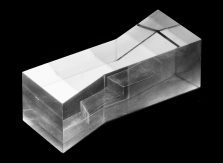 CANactions provides young architects and architecture students with a platform for communication and sharing their ideas. 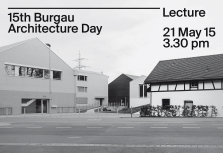 how ambitiously it is carried out and the impact it has on the culture of building in Europe” (Architektursommer Rhein-Main). 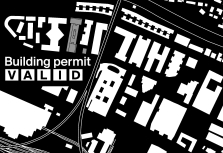 private interests, apparent within the ground floor zone, could generate processes that might lead to innovative solutions for individual spatial requirements. 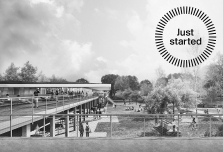 three new buildings in this former park and is the result of a study carried out by EM2N for the redesign of the site. landscape and the moods of the park. 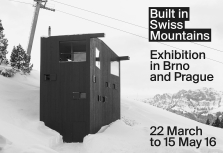 On Saturday, April 2, 2011 from 10 am to 17 pm on Seestrasse 68 in Thun, Switzerland. building site all around the clock. pm. 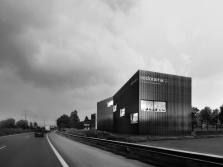 A project in collaboration with Müller Sigrist Architects. 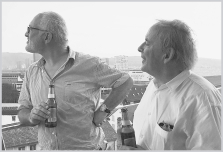 Mathias Müller and Daniel Niggli are guests in the programme ‘Focus’ on Monday, March 21, 2011 from 8 to 9 pm on Radio DRS3. 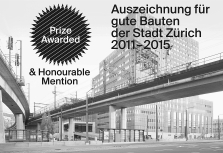 a railway viaduct in an industrial district of Zurich, receives an honorable mention. Former tennis champion Pete Sampras presents the planning application for the ‘International Centre for Competitive and Popular Sports IZLB’ to the City of Winterthur. 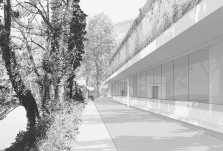 The Swiss Ice Hockey Association has spoken out in favour of a training centre in the ‘International Centre for Competitive and Popular Sports IZLB’ in Winterthur, Switzerland. Become our friend on Facebook and stay informed about our activities, our work and our progress. 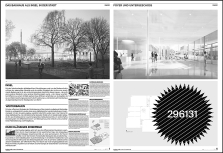 change of paradigms in the Glatttal and draws up the plan for the ‘City in Glatttal in the year 2060’ (intermediate state). 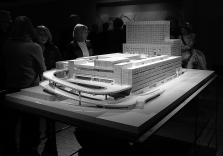 The Architects Group Krokodil shows the ‘radical vision’ of a large city in the Glatttal. Contribution to the programme ‘Schweiz Aktuell’, shown on Swiss television on January 20, 2011. 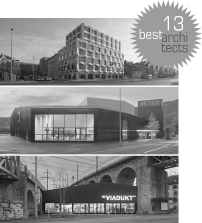 The Glatttal Study by the Architects Group Krokodil is published in the January / February 2011 issue of ‘Hochparterre’. 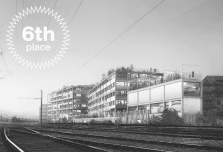 Large city in the Glatttal: Hochparterre and the Architects Group Krokodil issue an invitation to an urban planning discussion on January 31, 2011 from 6 to 8 pm in the Glatt shopping centre.